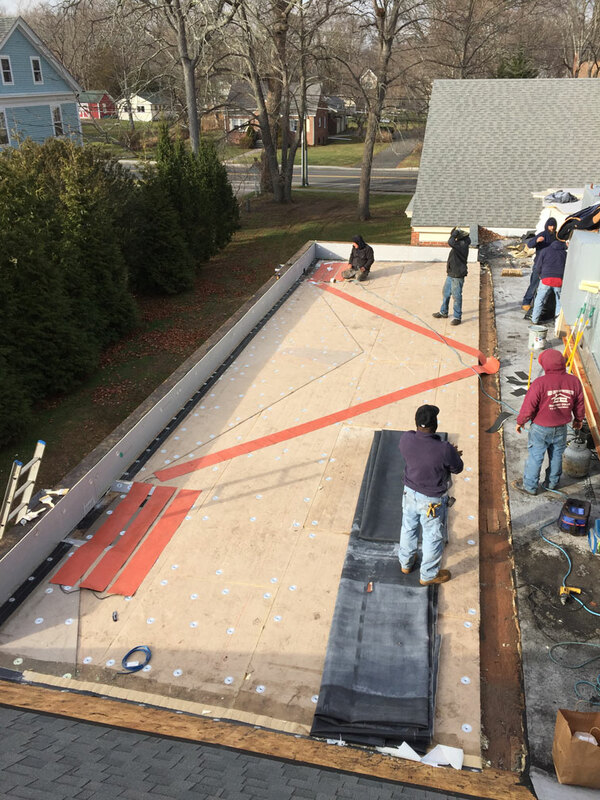 To be sure our roof ice melt system is installed properly, we recommend the consumer to choose one of our certified installers for their application. 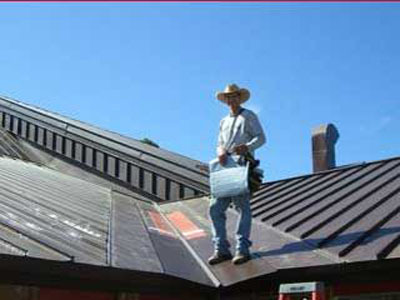 We are happy to communicate with a roofer in your area to educate them about our system. 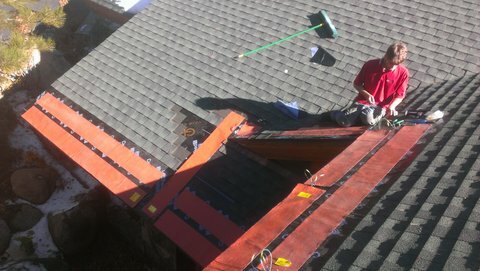 We have on occasion sent heaters out to General Contractors (who do their own roofing). Only after we have reviewed pictures, spoken on the phone and have mutual confidence the system will be installed correctly. 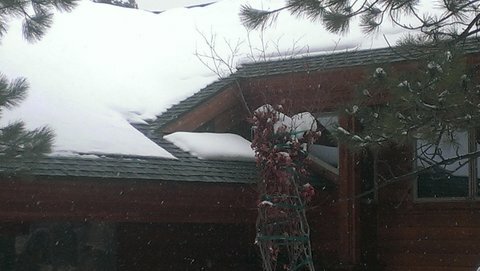 Installing the Heated Roof System is the most effective and elegant way to eliminate ice dams permanently. For Retro-fit Applications on existing structures, we suggest that all shingles are removed from the ice dam problem areas. 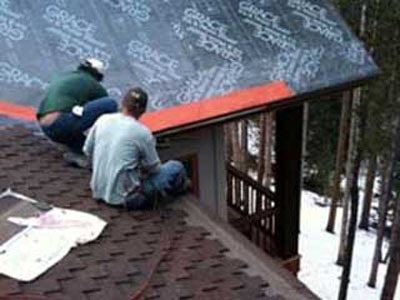 (The same procedure is used for metal roofs and valleys, exposing the problem area). 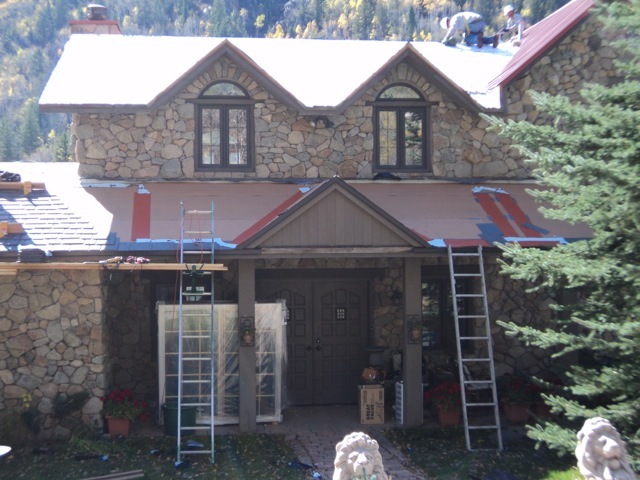 A new layer of Grace Ice and Water Shield® Ultra waterproof membrane should then be applied to the roof sheathing. 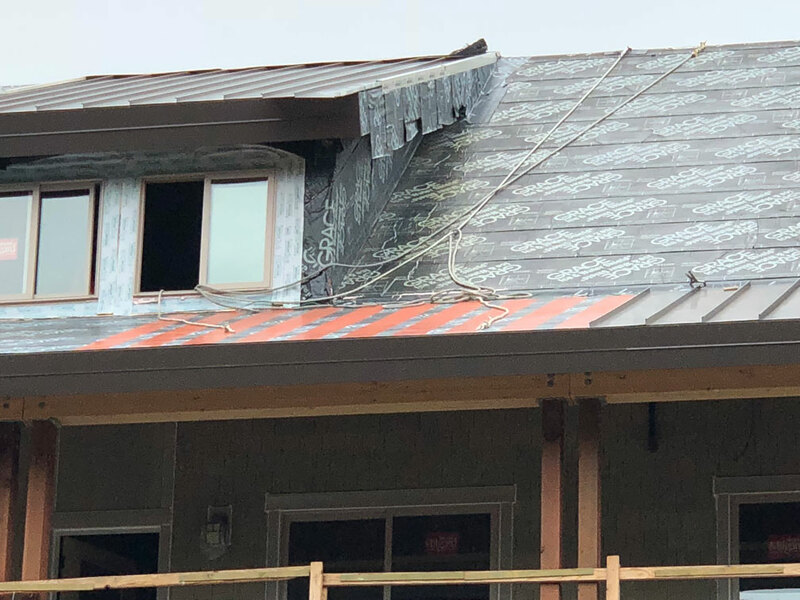 Care is exercised in leaving the remaining last two courses of shingles loose, to ensure the ease of placing the last course of replaced shingle in place. Our heaters are then adhered over the waterproof membrane, with our self-adhesive 3M backing. 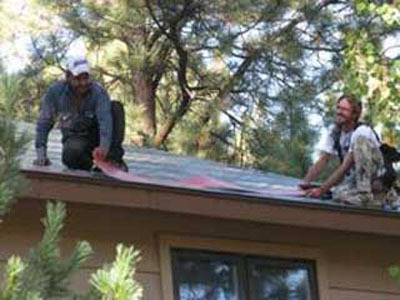 Simply peel off the backing and place our "roof rescue mat" in place. Our heaters inter-connect with each other by way of a factory connection. At the end of the run, a tail length of connecting wire is left for the electrician to make the final connection into a weatherproof box. 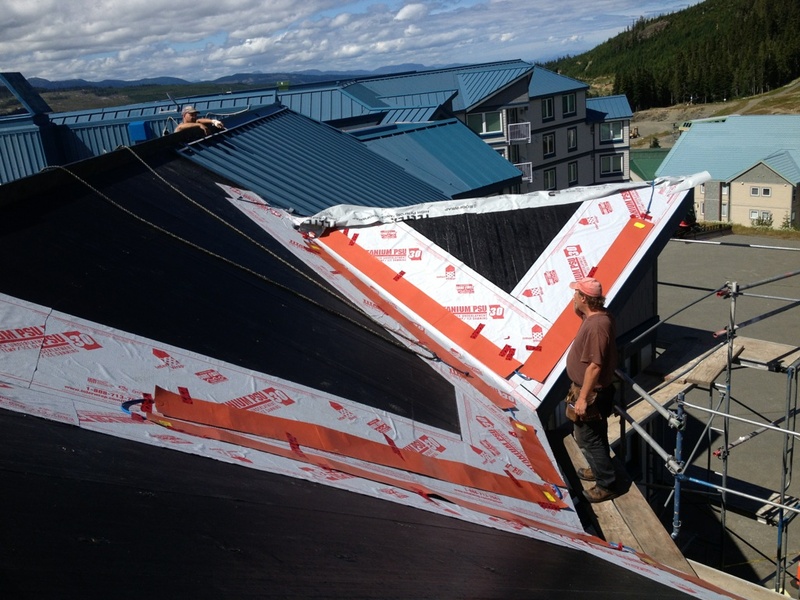 In New Construction, the heaters are placed in position on the roof edge and up the valley. 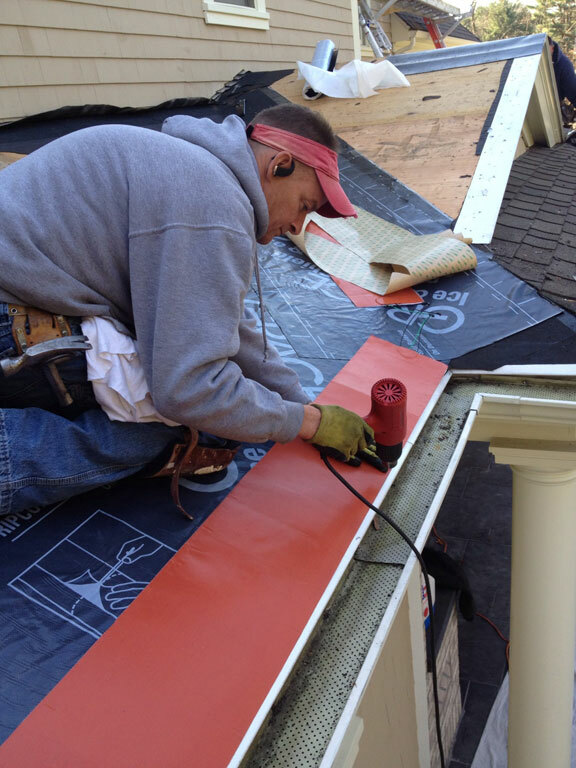 Then the roofing material is placed over the heaters with care. 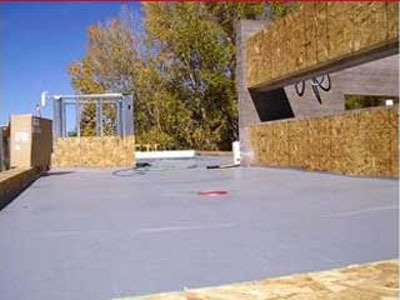 Metal applications require the heaters to be strategically placed, so the roofing material can be fastened properly. 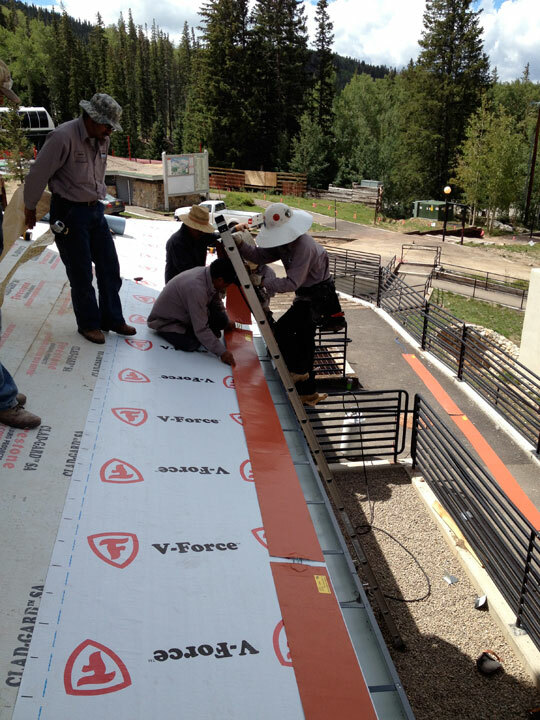 Our heaters have been used under both standing seam and pro-panel metal roofs. Flat Roofs as shown on a below picture, our roof rescue mats can be placed in an X fashion around roof drains to direct melt to the the drain scuppers. 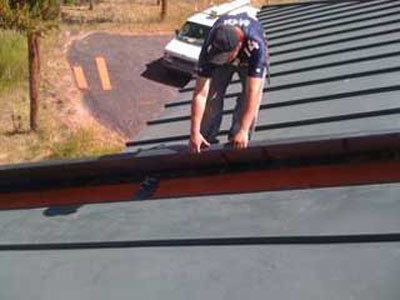 Please contact us for further information about flat roofs.